For years, travelers have been debating -- and sometimes arguing -- about how to say "Laos." But why the confusion over the pronunciation of Laos? After all, the word is only four letters. In this case, history, colonialism, and linguistics have clashed to create a muddled situation. After hearing conflicting answers for years, even on my third visit to Laos, I decided to get to the bottom of the right way to pronounce the name of Southeast Asia's mountainous, landlocked country. All other pronunciations, including "Lay-ose," are incorrect. I surveyed 10 Laotians (in Luang Prabang, Luang Namtha, and Vientiane) about how they prefer to have the name of their country pronounced. All answered that they want foreigners to say the final "s" but then added that they took no offense when it was left off of the word. The correct way to say "Laos" is the same as "louse" (rhymes with blouse). Although travelers who haven't visited the country tend to pronounce the "s" at the end of Laos, many long-term travelers moving through Southeast Asia tend to leave the "s" silent and use the pronunciation that sounds like "Lao" (rhymes with cow). Really adding additional confusion is that some Laotians I surveyed had grown so accustomed to hearing travelers pronounce their country as "Lao" that they admitted to using "Lao" rather than "Laos" to ensure that Westerners understood them better! "Lao" can be used as an interchangeable word for "Laotian" -- a person from Laos. The official language of Laos is known as Lao. Traditional folk music from Lao could be referred to as Lao music. Lao silk, Lao art, Lao movies all come from Laos. Also adding additional confusion is that the English version of the official name of Laos is the "Lao People's Democratic Republic," or Lao PDR, for short. In Lao, the official language, the official name of the country is Muang Lao or Pathet Lao; both literally translate to "Lao Country." In all of these instances, the correct pronunciation is obviously to not sound the final "s."
Why Is the Pronunciation of Laos Disputed? Laos was split into three kingdoms, with the residents referring to themselves as the "Lao people" until the French united the three in 1893. The French added an "s" to make the name of the country plural, and began referring to the collective as "Laos." As with many plural words in French, the trailing "s" was not pronounced, thereby creating a source of confusion. 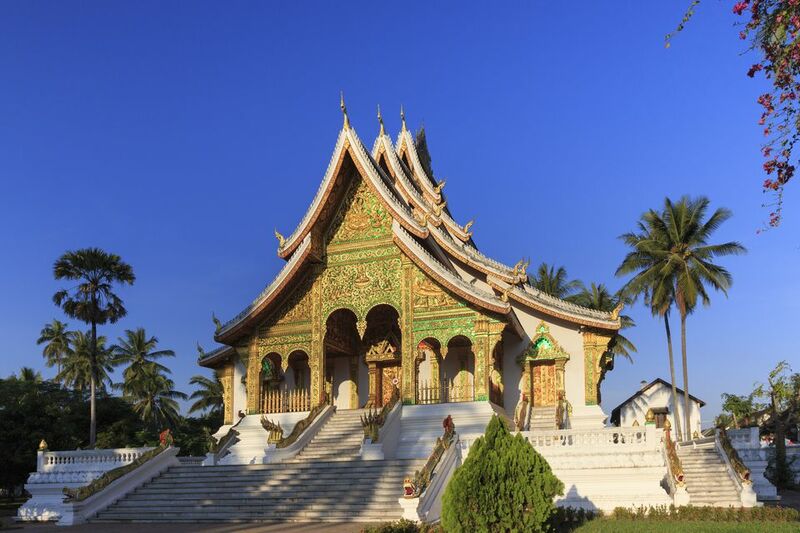 Laos gained independence and became a constitutional monarchy in 1953. But despite the official language being Lao, only around half of all Laotians speak it. The many ethnic minorities spread around the country speak their own dialects and languages. French is still widely spoken and is taught in schools. With so many arguments (the official country name, the name of the country in Lao language, and French pronunciation), one would assume that the way to say Laos was "Lao." But the people who live there obviously know best, and to honor their wishes, travelers to the country should say "Laos."